Om Parvat is the second of a very large format series of 5 that I am working on. Om Parvat, The Sacred Om Mountain … The most fascinating characteristic of this peak is the unbelievable impression of “OM” naturally formed with the deposition of snow against the black background of the mountain. Its appearance is distinctly similar to Mount Kailash in Tibet. Earth vibrates at 7.83 Hz and so does OM. The primordial vibrations of molecules and atoms are thus represented by OM. Additionally, OM resonates with the Earth’s heartbeat of 7.83 hertz. The mountain is considered sacred by Hindus and it represents a revered pilgrimage place for many people around the world. They visit to witness the snow deposition pattern which resembles the sacred symbol of ”Om”. This is the inspiration behind “Om Parvat”, Oil on canvas, 150 x 300 cm, 2018. Rise Art have been inspired by Europe Day to embrace and celebrate all that our multicultural Continent has to offer – starting with the art. 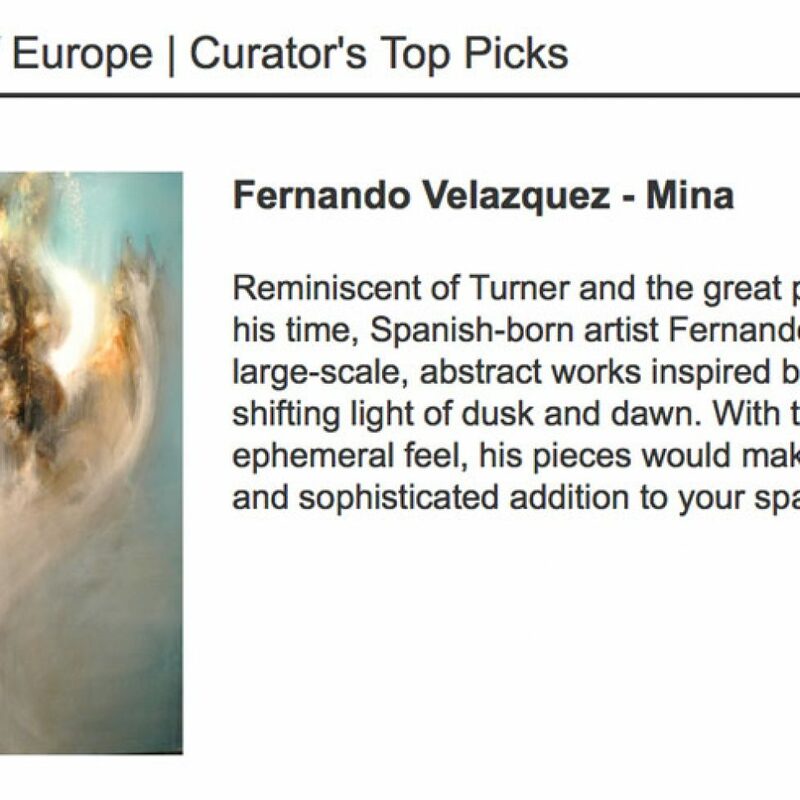 Fernando is very pleased to be featuring in this top 10 of European artists. 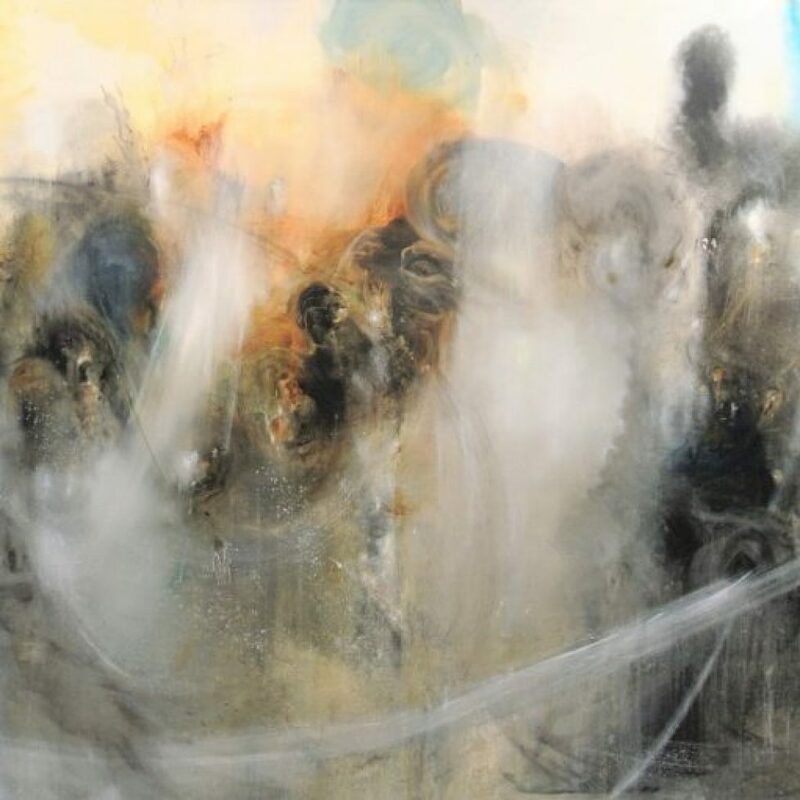 Head over to the Rise Art blog and discover their curator’s favourites below, for a true taste of Europe’s many artistic energies. Please complete the form and we'll be back in touch as soon as possible. Please include a phone number if you'd prefer to be contacted by phone.